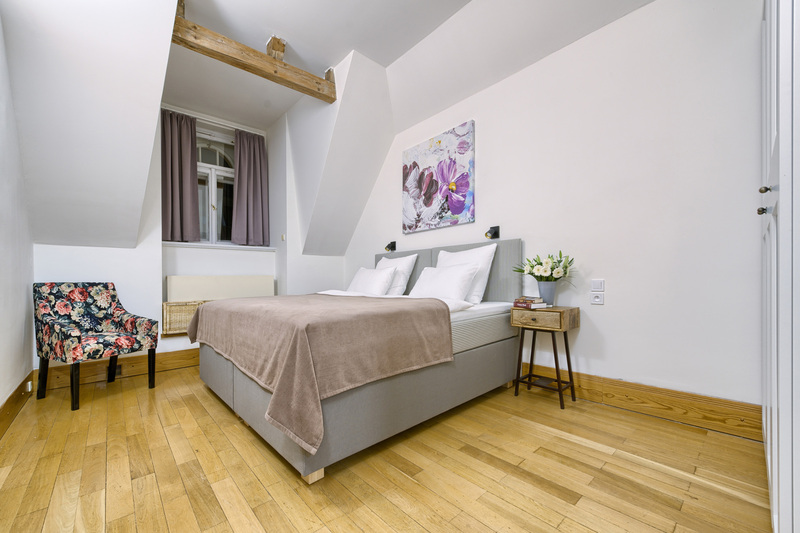 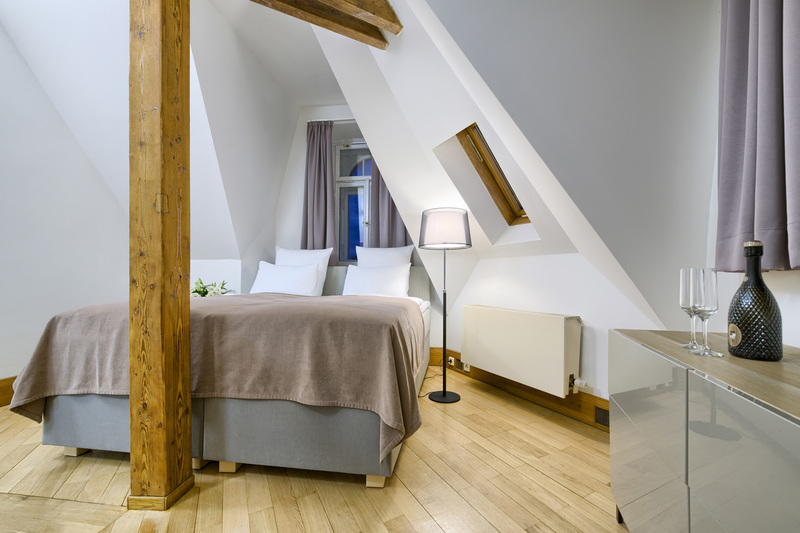 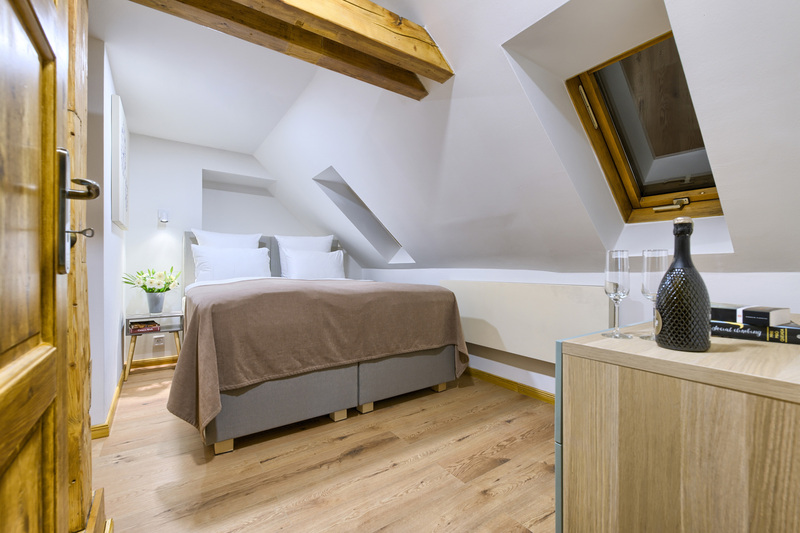 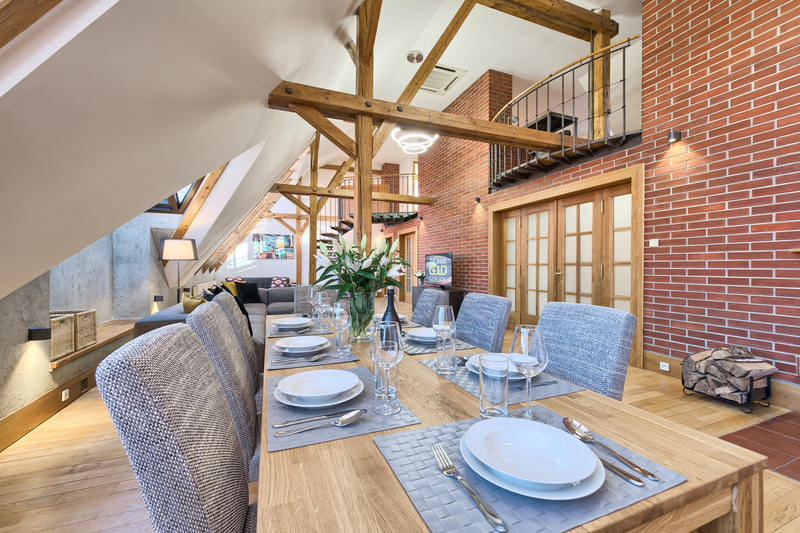 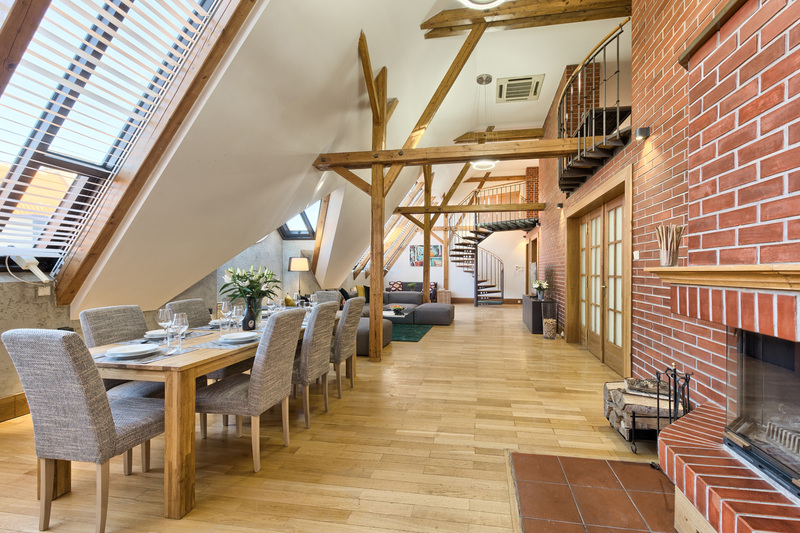 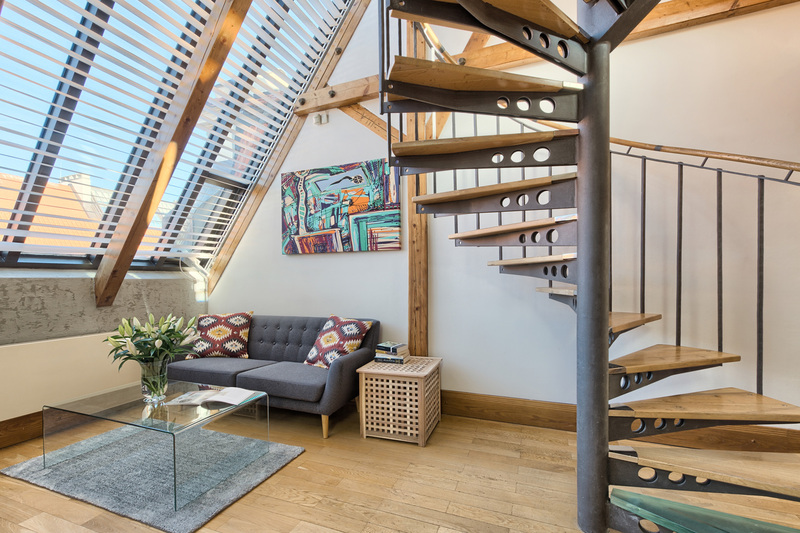 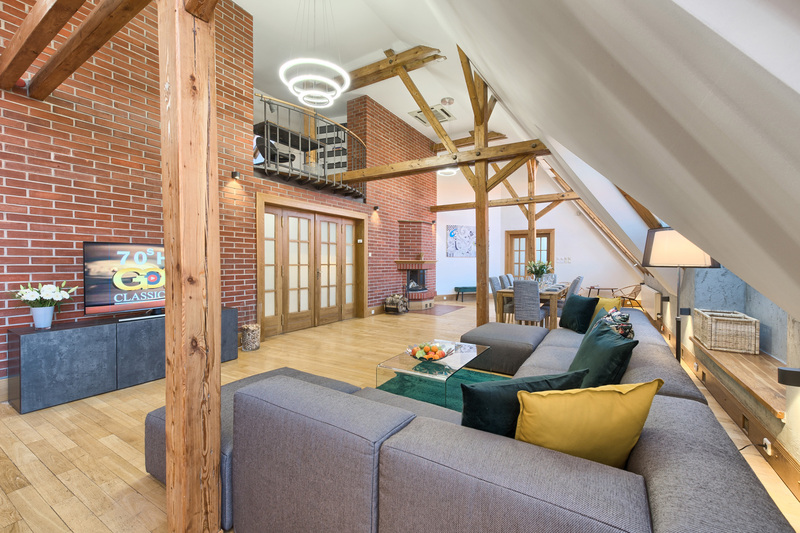 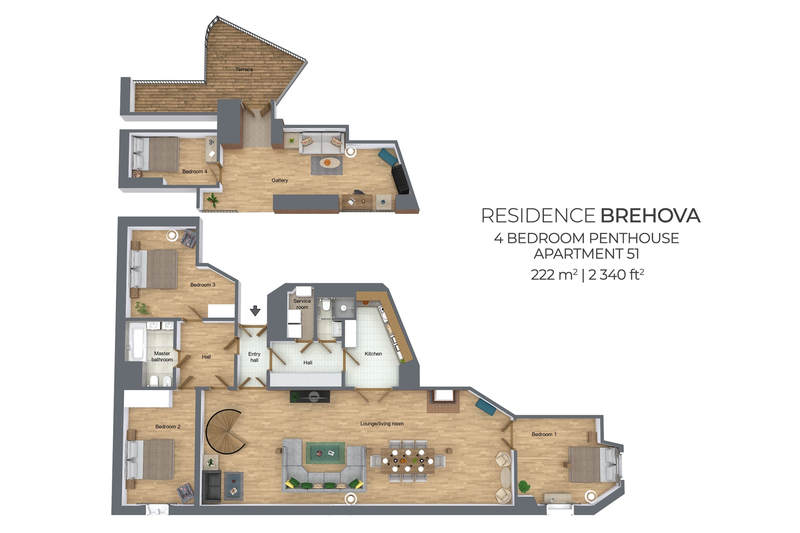 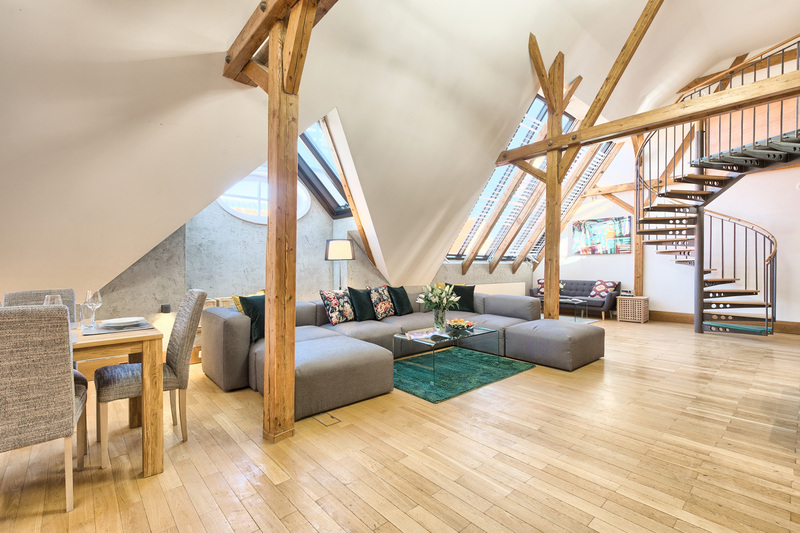 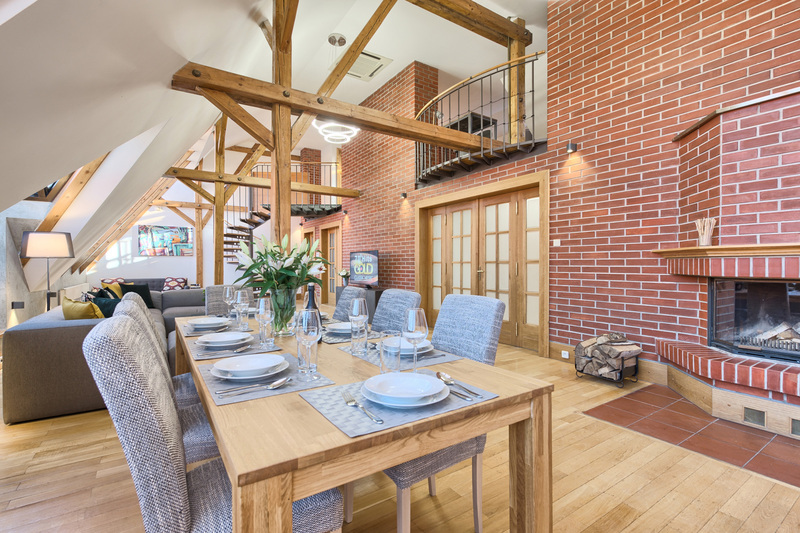 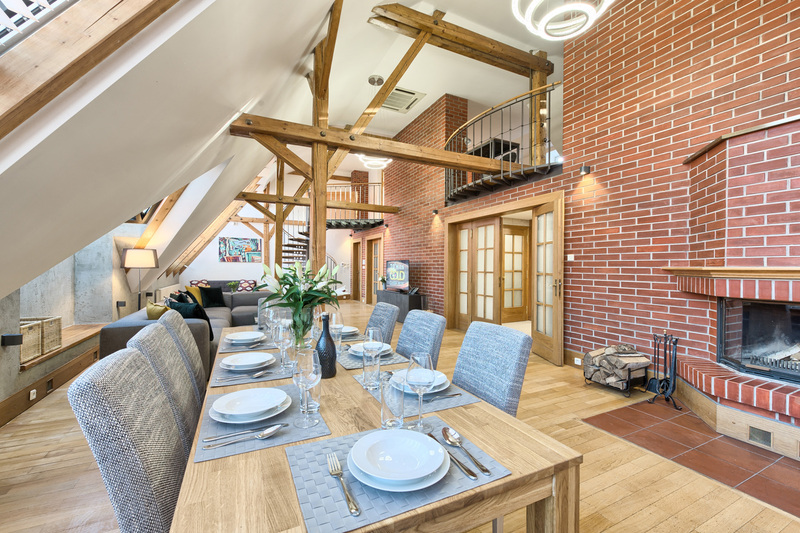 This unique penthouse apartment is one of the most interesting rentals in Prague. 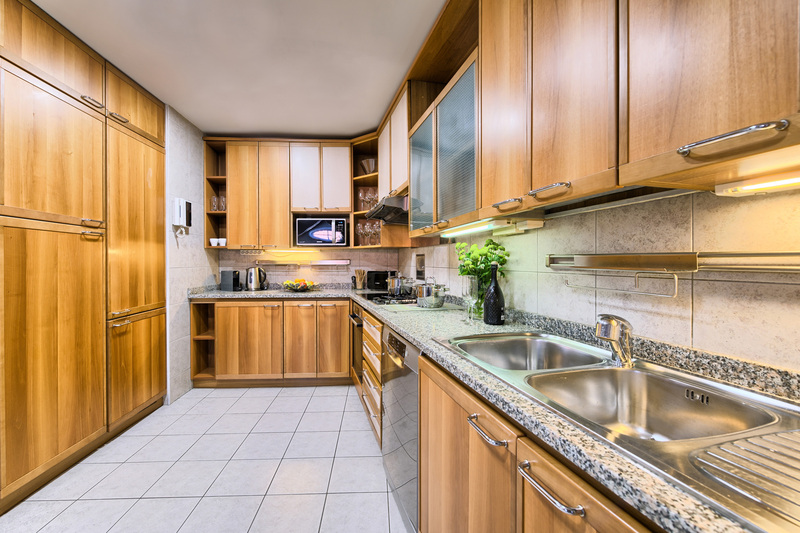 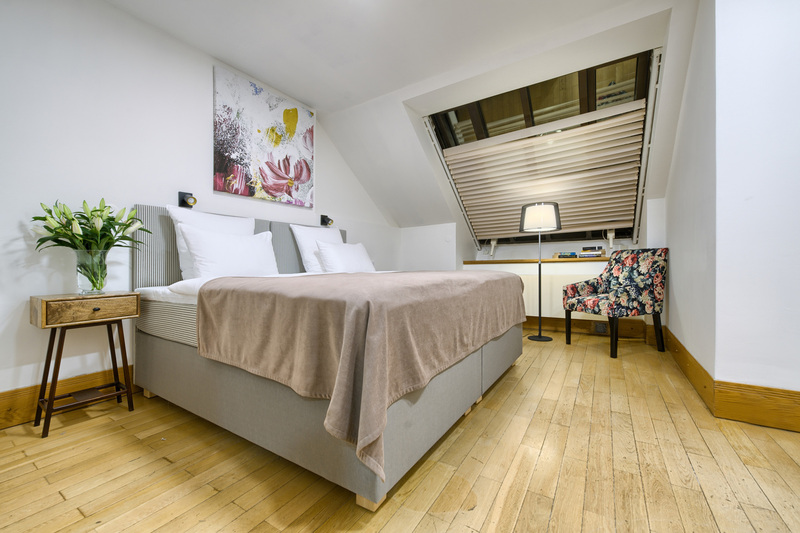 With more than 220 m2, four cozy bedrooms it can comfortably accommodate a large group of people. 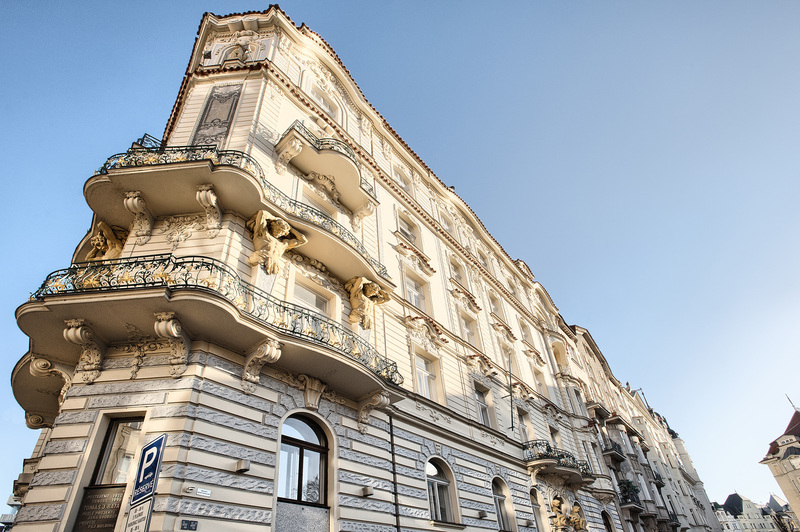 It is situated in the Residence Brehova, right in the historical Jewish Quarter, one of the most sought-after parts of the city. 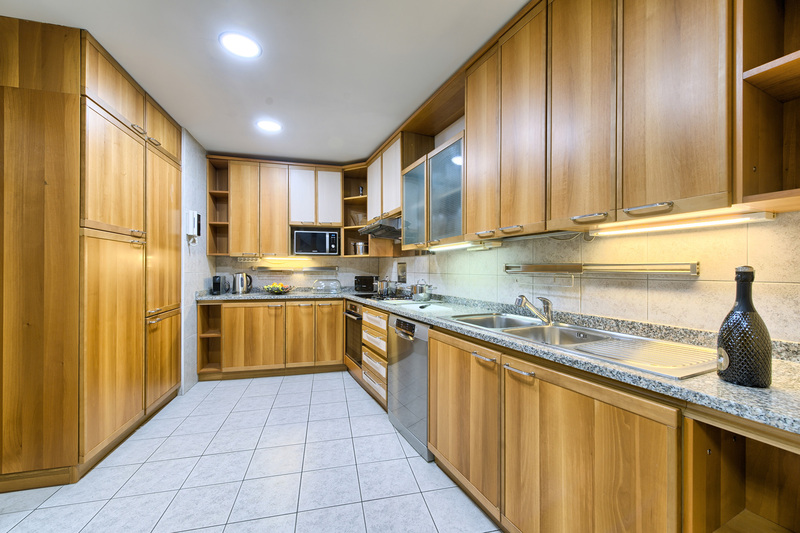 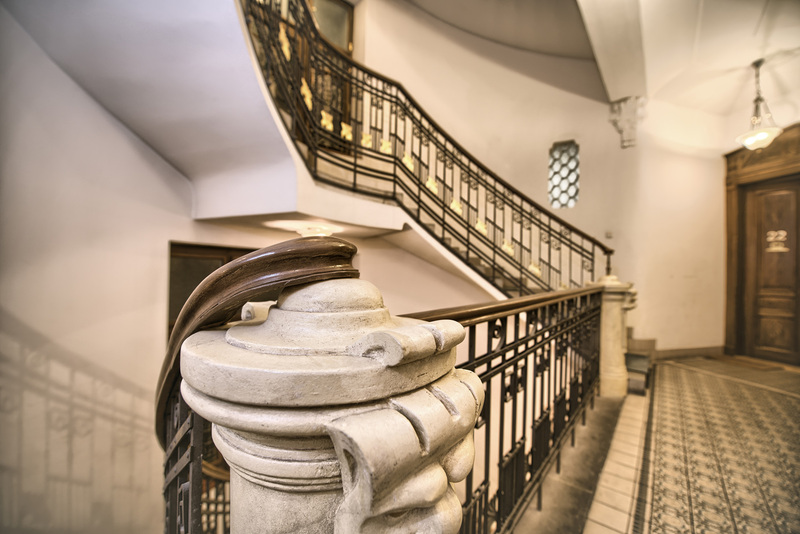 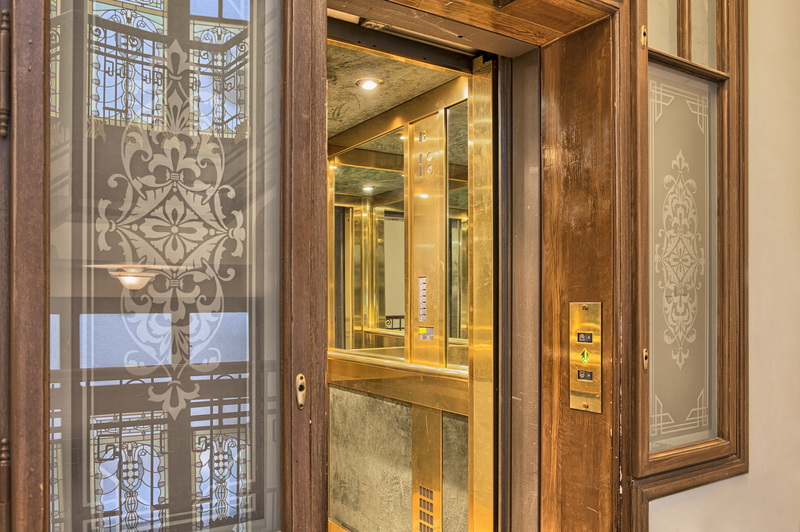 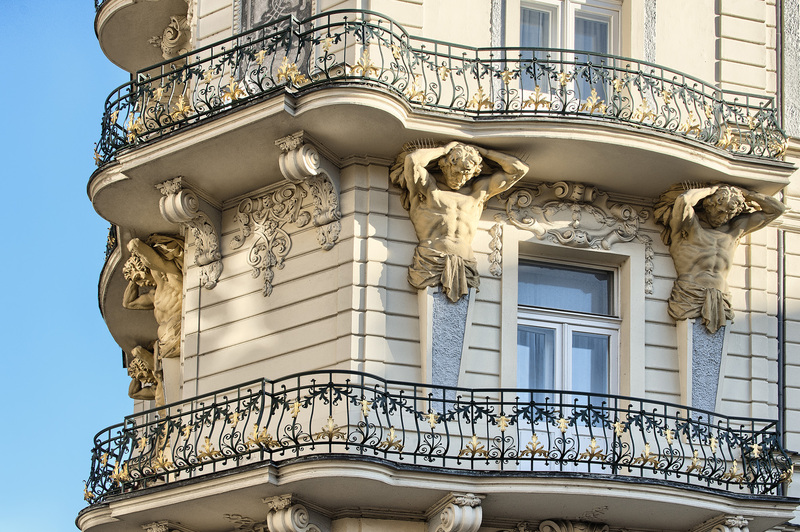 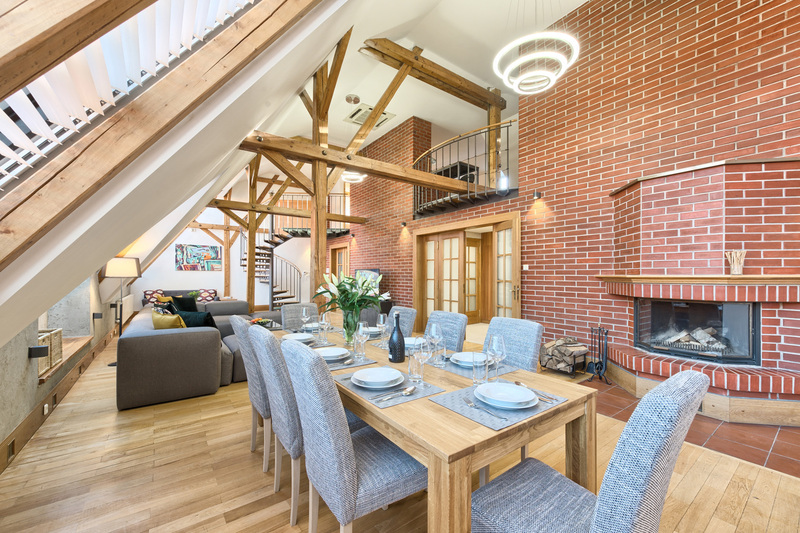 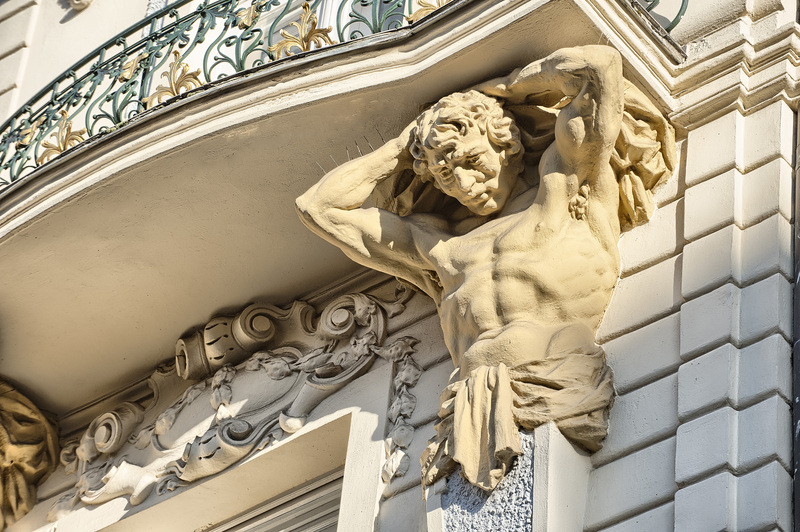 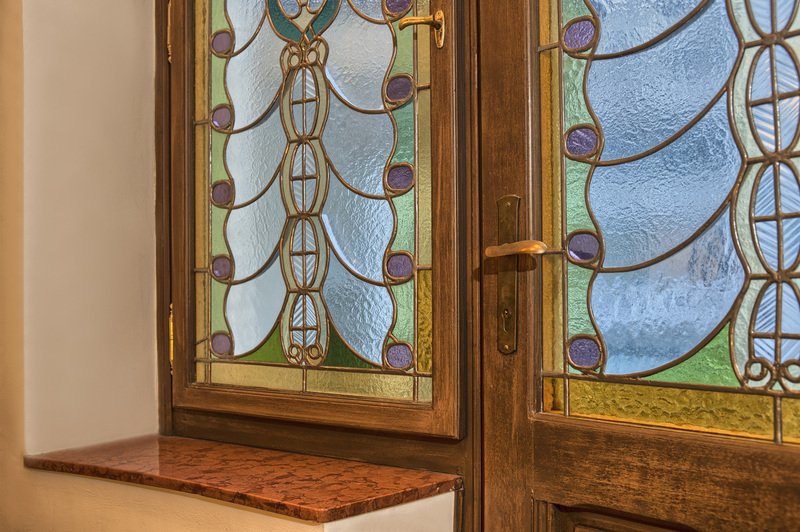 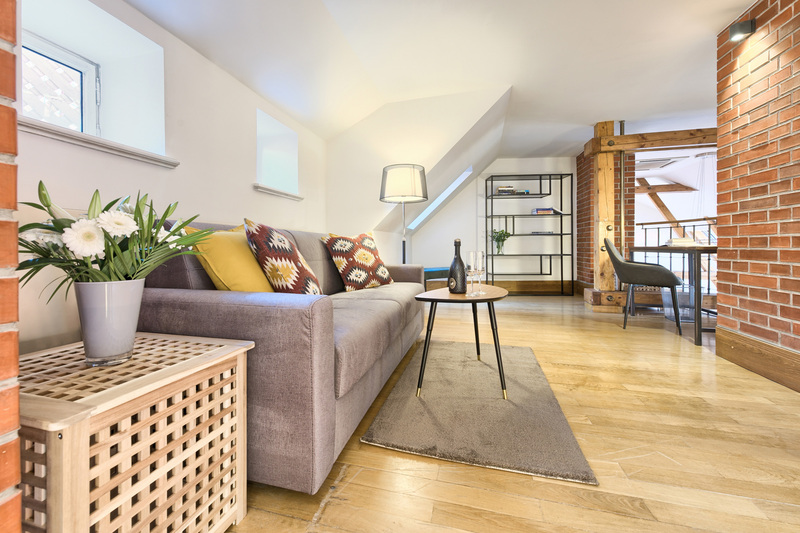 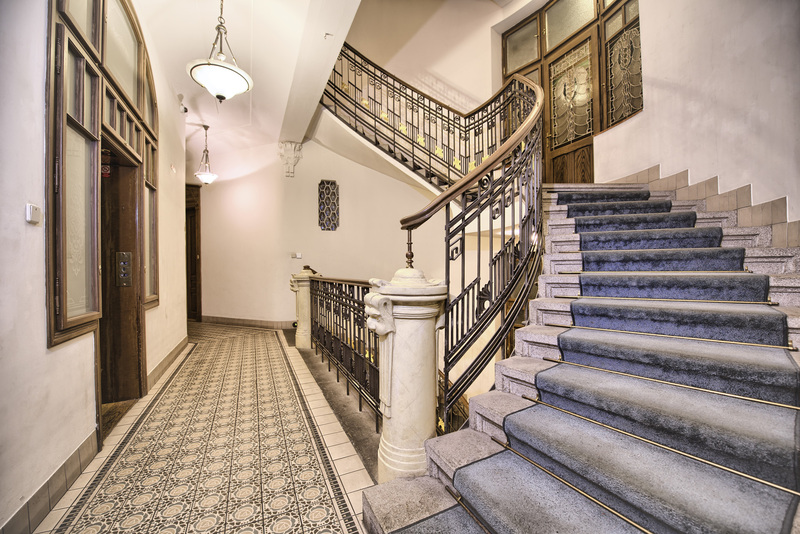 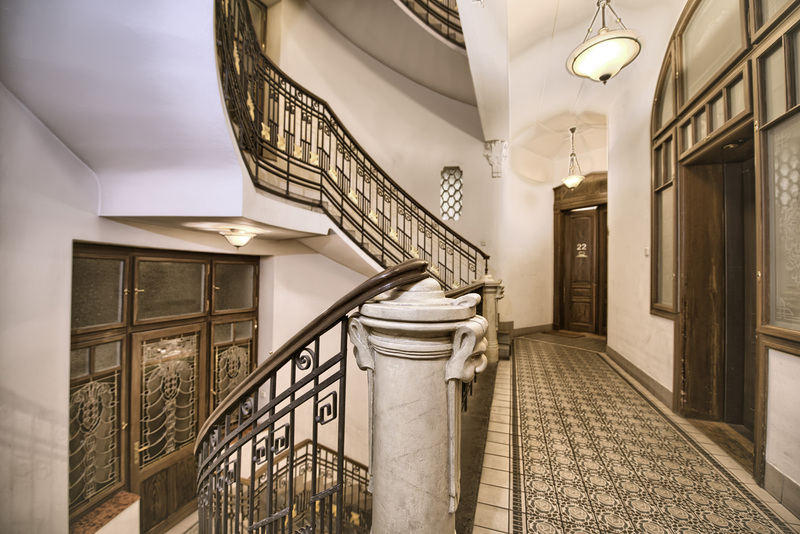 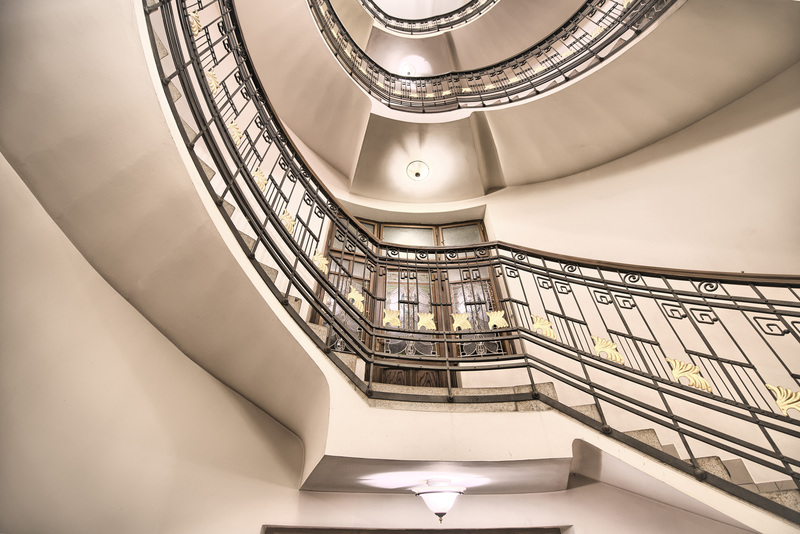 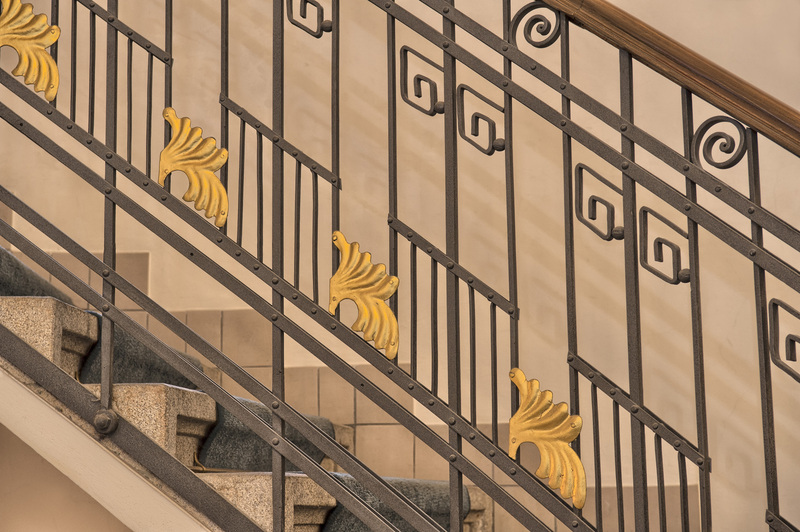 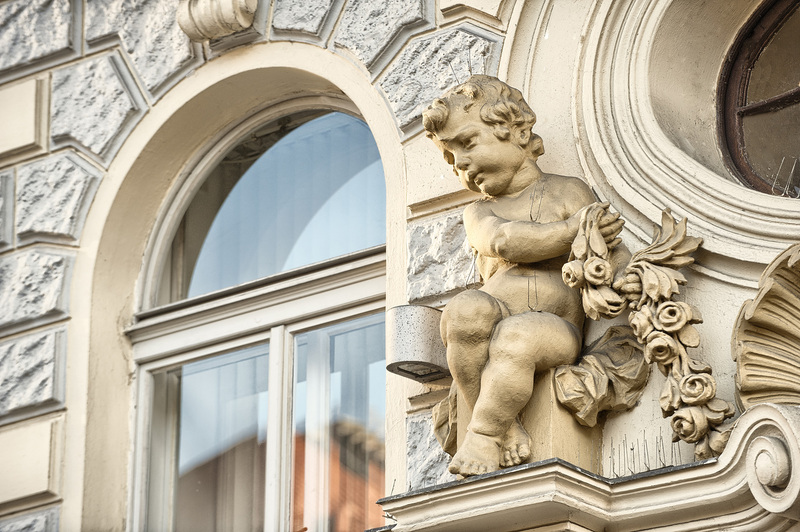 Although it can’t be more centrally located, the tranquility and privacy is guaranteed as it is the only apartment on the 5th floor of a stunning Art Nouveau building. 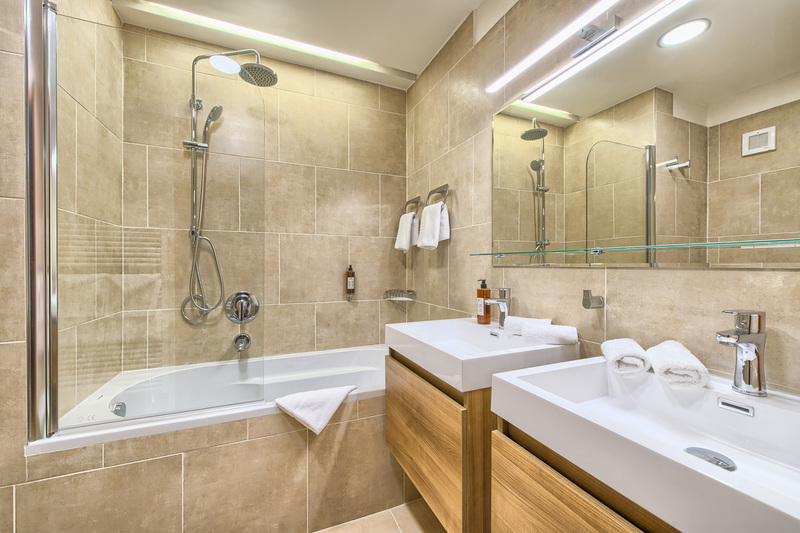 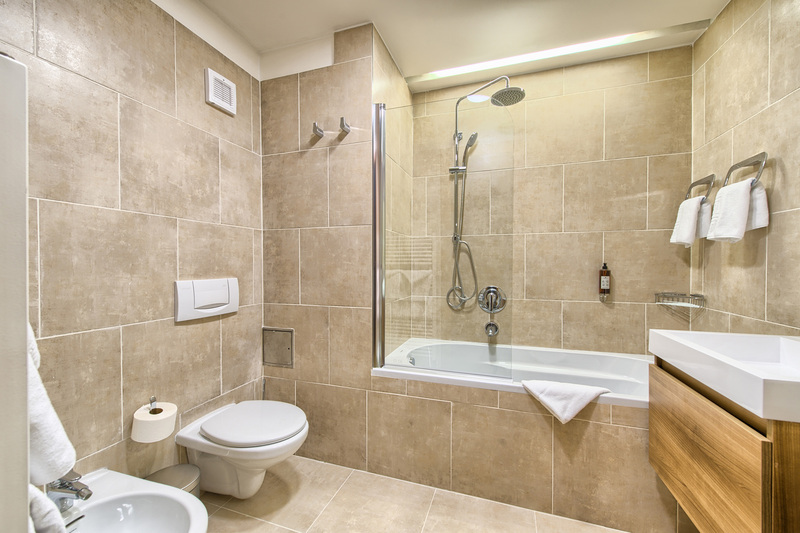 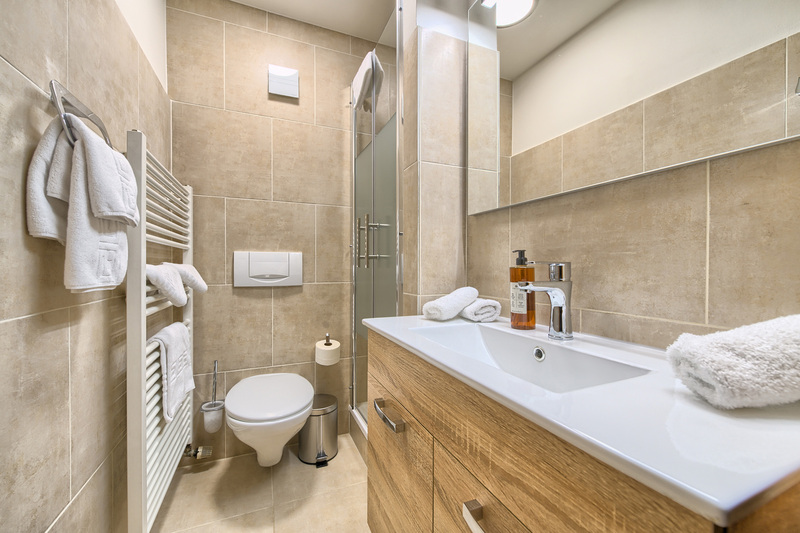 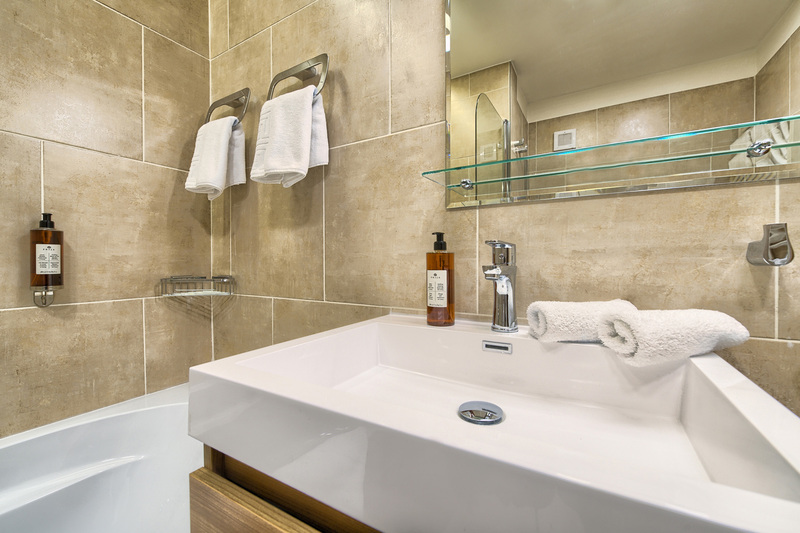 The apartment has two bathrooms, one with a shower, one with a bathtub. 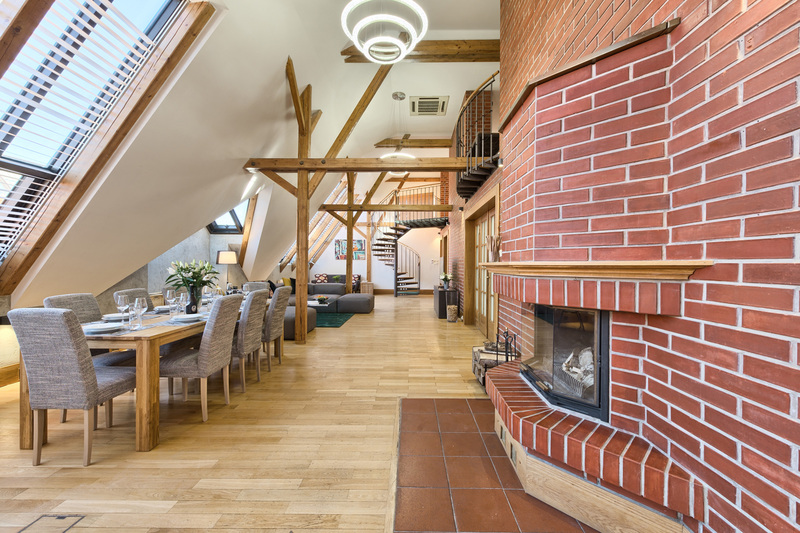 On cold autumn and winter days you will love the fireplace located in a huge lounge. 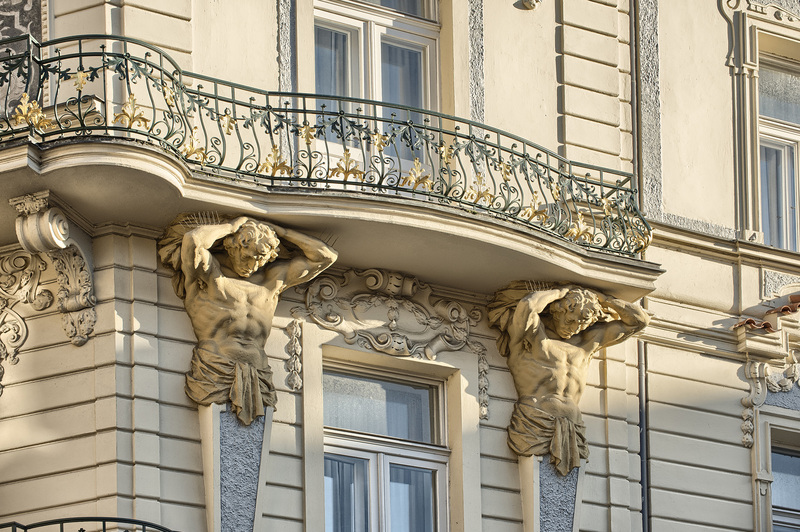 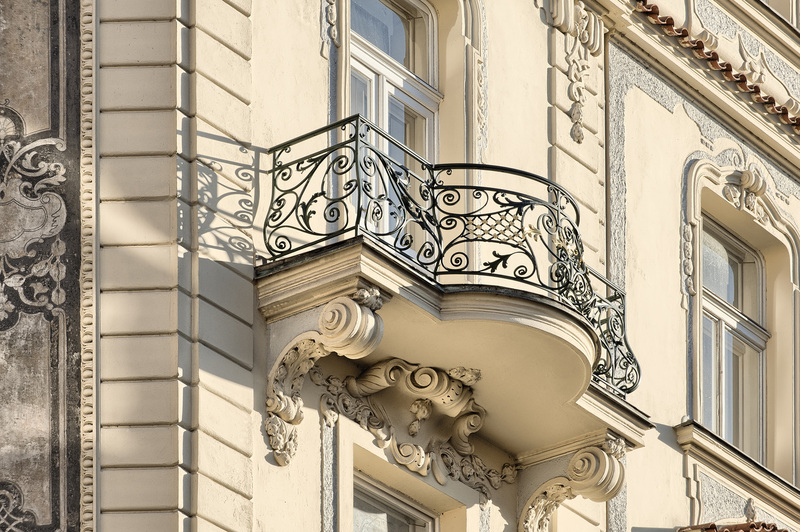 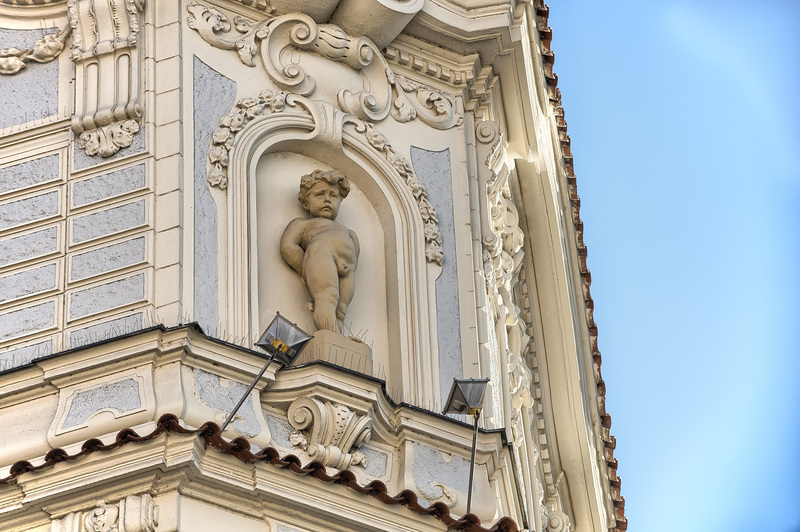 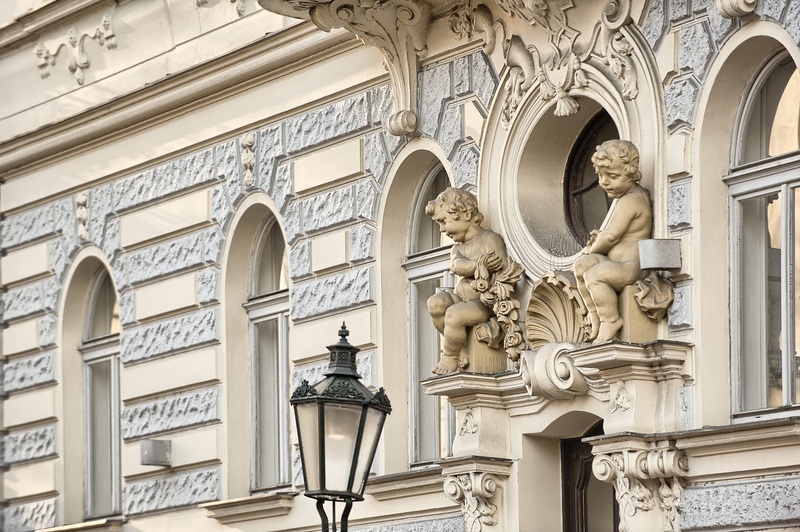 From the gallery in the top floor you can enter a terrace offering lovely views of Prague. 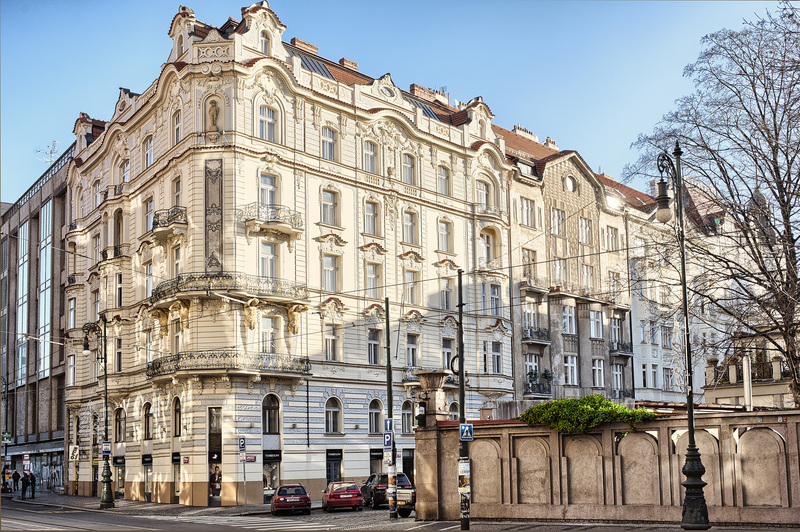 How about some barbecue and Czech beer in the middle of a fairytale city?